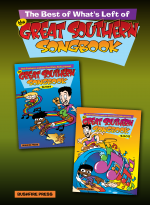 A collection of songs for kids performed by Rob Fairbairn and the Cool Cats Kids. Suitable for use with primary school children of all ages. These much loved collections feature children’s songs from Australia, Asia and the Pacific Rim. We hope you enjoy revisiting these wonderful songs – and, if you haven’t yet encountered them – well, you’re in for a treat! Available to purchase as a CD package: 3 audio CDs of 27 great songs + backings, arrangement examples and more. Alternatively, you can purchase the songs as immediately downloadable files, individually or as a complete package. These much loved collections featured children’s songs from Australia, Asia and the Pacific Rim. As well as lyrics and music there were simple arrangement ideas for tuned and untuned percussion, easy recorder parts and easy guitar. AND – there were great activities across the Arts and even “showstoppers” (little concert item pieces). Since then we are constantly asked for songs from the series. 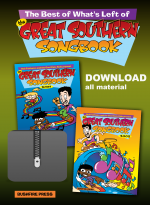 Some have subsequently appeared in other publications, but many remained unavailable – so – we have brought together “the best of what’s left of” this wonderful collection of songs and activities in one convenient package. Tracks include: Around the World, Bananas, The Bunyip Song, Clouds Are Rollin’, Doli, Drovin’, G’Day G’Day, Get Together, Kia Rite, The Kids Lament, Let’s Get down to Show Business, Malo Lelei, My Pet Chook, My Oh My, My Song of Joy, Odyssey, Old MacDonald’s Ford, Popcorn, Reconciliation, Rob’s Rock, Roof Rack, The Saveloy Man, The Snow, Suburbia, Superkids, This Is Australia Calling, Who Owns the Dog?